The Cabernet Sauvignon/Merlot wine belonging to Dealul Racoveanu range is a mixture of Cabernet Sauvignon (60%) and Merlot (40%), having 14.3% alcohol. It was obtained through maceration-fermentation at controlled temperature, followed by 12 months maturation in French oak barrels. 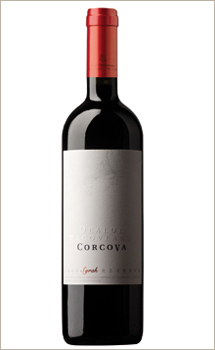 Being colored in an intense Bordeaux red with violet nuances, the Cabernet Sauvignon/Merlot Corcova Dealul Racoveanu wine has strong flavors, which remain after tasting. Predominant are the black fruits flavors, mainly fully ripened blueberries. It is a well structured wine, full-bodied, with tannins which could evolve positively in the ageing process of the wine, balancing it. 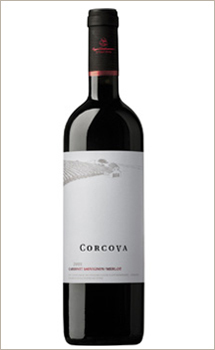 The Cabernet Sauvignon/Merlot Corcova Dealul Racoveanu wine pairs well with red meats, game meats, cheese and spicy foods. The optimal temperature is 17 - 18 degrees Celsius. Expressive and very pleasant, dark ruby, the Pinot Noir Dealul Racoveanu wine, obtained 100% from Pinot Noir, pairs very well with red meats, cheese and spicy meals. This wine was obtained through maceration-fermentation at a controlled temperature, followed by a 12 months maturation in French oak barrels. With 13.7% alcohol, the Pinot Noir Dealul Racoveanu distinguishes by its fruity (mainly pomegranate) and spices notes. The wine is complex and rich, having melt tannins. The wood is discreet, with a light vanilla note. The optimal temperature is about 17 - 18 degrees Celsius. It is recommended that the bottle is opened with a half an hour before drinking this wine. You can do magic things event with a limited budget! Smart girls know to offer, with a clever smile, trendy and useful gifts without budgetary "acrobatics". The winter holidays are so close - it's the time when we will meet the beloved ones, at home or in the vacation, maybe in mountains... Moments which seem especially created for the wine, because this unique beverage guarantees the good mood, the joy, and invite us to... socialize. 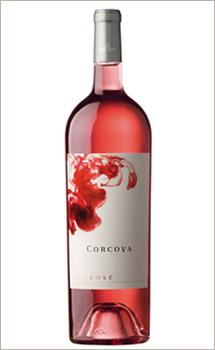 On the Holidays occasion, you could surprise your beloved ones with an original gift, a bottle of Rose de Corcova wine. 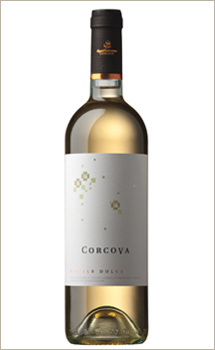 Chardonnay Dealul Racoveanu, a wine produced by Corcova Roy & Damboviceanu, could be the perfect choice for a Holiday gift. We are already at the half of November, and the winter holidays are near us. A successful Christmas and New Year dinner depends on the quality of the wines. 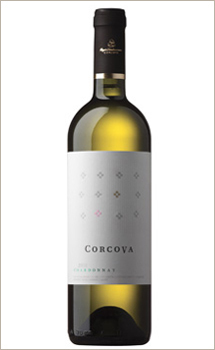 With a Corcova wine, which keep unmodified the flavor, the taste and the perfume of the grapes cherished by the rays of the sun in this heavenly and full of history land, the success of any festive dinner is guaranteed. You can find out more about the original imprint of the region, about the revival of the vineyard and of the press houses, about the distinction and the passion which transform the Corcova wines in some excellent Romanian wines from the interview of Serban Damboviceanu for the Love at First Site show at the Radio Romania Cultural station. Following the invitation of Mrs Pusa Hack, founder of Exotique brand and owner of Exotique shops, the Corcova wines were once again present in the so hospitable Exotique Showroom. 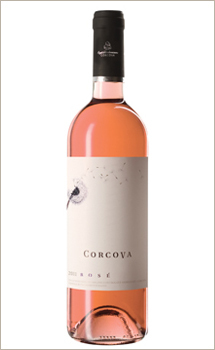 This time, the Corcova wines tasting happened with the occasion of the informal meeting of the International Women Association of Bucharest members, which took place yesterday, the 10th of November. Last evening, in the hospitable ambiance of Grand Cafe Van Gogh, in the Bucharest Old Town, happened the official launching of the premium wines from the new range Corcova Dealul Racoveanu. The stars of the evening were the new wines: Cabernet Sauvignon-Merlot, Chardonnay and Pinot Noir, which were tasted, for the first time, by the participants. The taste and the smell of the wines were accompanied by an images and sounds itinerary - Serban Damboviceanu and his colleagues, Elena Chirculescu and Robert Marshall, invited the public to a short, but fascinating incursion in the area where the Corcova wines rise from the joint of the generous nature with the people's passion.